We can connect these types of projectors with any DVD movie or DVD presentations. 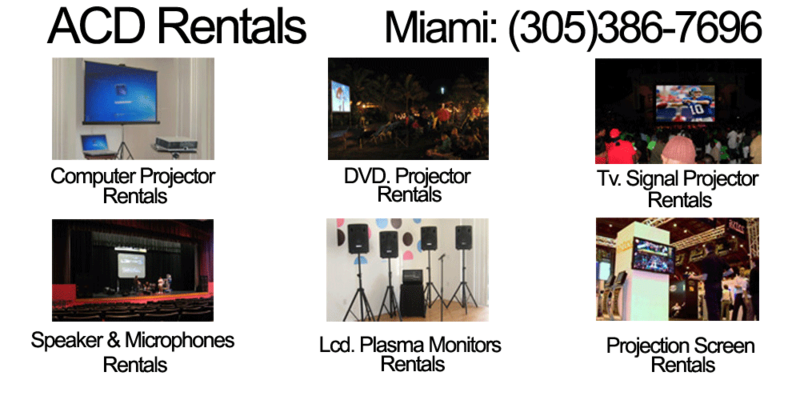 We supply the projector, screen, and speakers, you just need to bring the DVD disk. the image is perfect as if you are watching a Giant TV. This is a fascinating alternative, any movie DVD playing from our DVD projector, allowing a perfect enlarged image and allowing you to have your own cinema in your home. The magic is there, within the reach of anyone, your favorite movie projected to a great size with total clarity and fidelity. Imagine a movie night with your friends, exhibiting your favorite movie with one of our DVD projectors, while your guests enjoy the show. All of these images and projecting abilities on one of our fabulous projection screens, are available for any type of need and audience: from a sufficient 6′ X 6′, to an 8′ X 8′ for medium-size audience to even a spectacular 9′ X 12′ for an extra impact. In any case, the result with be great and memorable. Additionally, the compatibility of your equipment is accompanied by its portability. We can install our equipment practically anywhere. This will allow your presentations in any environment or place you want. A giant screen in the comfort of your living room, or in the conference room of your work place or even while exhibiting in a hotel room for your event. In short, the possibilities are endless. ACD offers coverage for all of South East Florida: Palm Beach, Broward and Miami-Dade. Count on the best DVD projectors and accessories, to allow your presentation to be innovative, impactful, fun, and memorable. Please contact us and let us service you. We are available 24/7, every day of the year.